We were in Boracay and we were looking for lunch. 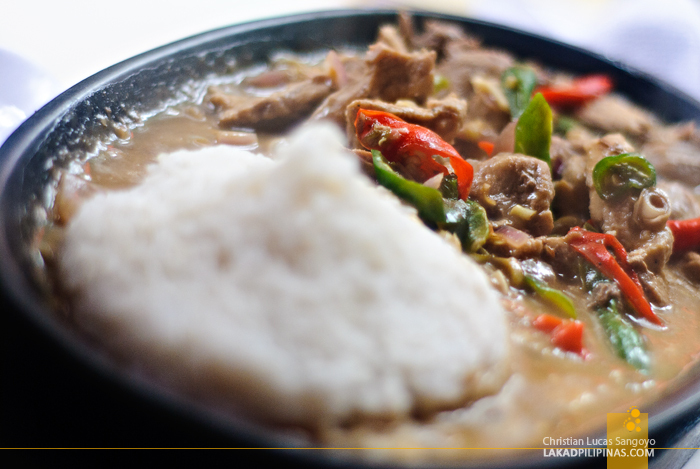 We wanted something cheap, fast, hot and goes well with a cold bottle of Red Horse beer. 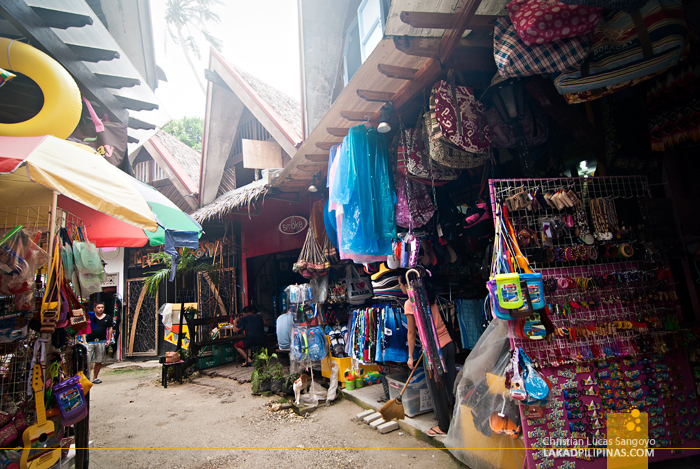 Off through the fine white sand of Boracay’s White Beach and onto the chaos of souvenirs and skimpily clad tourists of D’Mall, we found what we were looking for. The Smoke Resto Boracay. I’ve heard and read about this restaurant in Boracay during my second visit to the island a couple of years back. The place was filled with hungry beach-goers looking for something affordable to eat for lunch without resorting to Andok’s ubiquitous chickens. The White Beach can be quite expensive when it comes to food, and this joint, surprisingly serves mean sizzling dishes without burning holes through your pockets; well, not so much anyways. 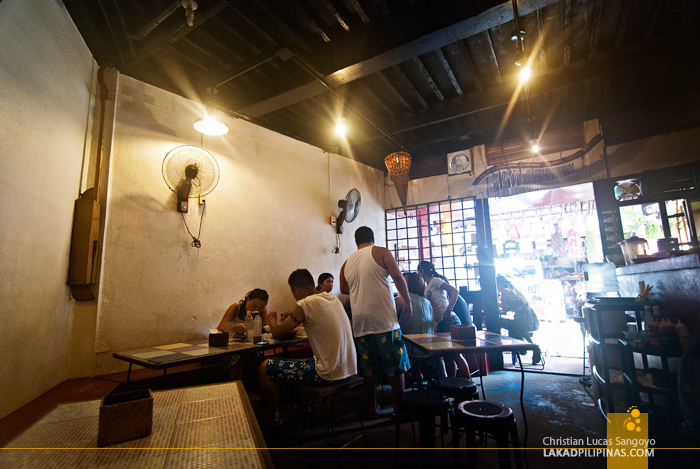 The place is located inside the maze of alleys along D’Mall and set up like an air-cooled hole-in-the-wall type of eatery. Which it actually is. 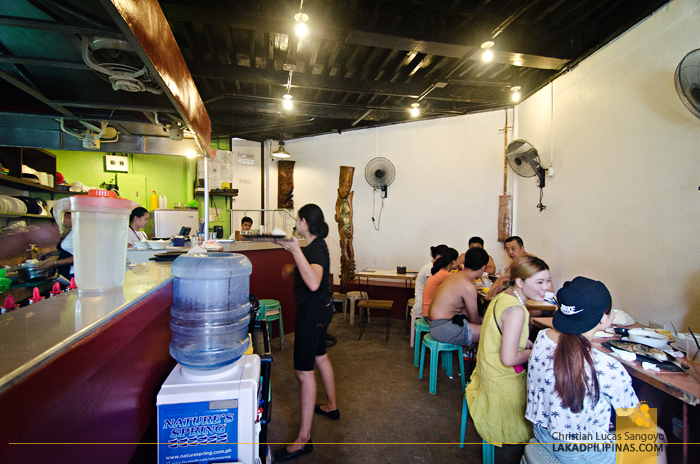 The interior of Smoke Resto is cramped, with tables pushed up against its bare walls and electric fans buzzing as busily as the friendly waitresses manning its limited floor area. 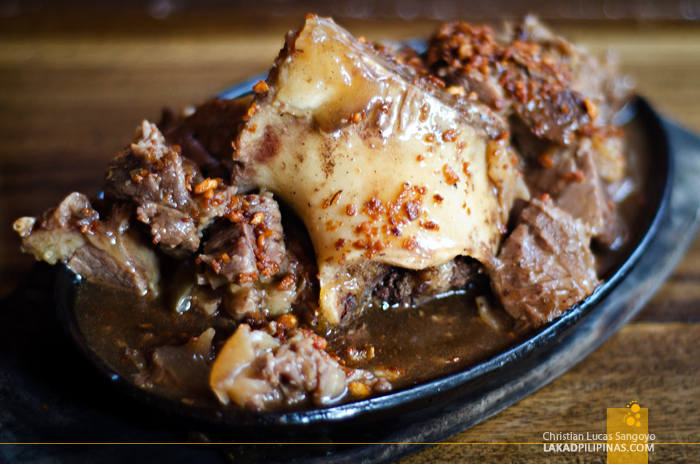 Smoke is famous for its sizzling bulalo, a strange and curious combination of beef shanks lathered with thick gravy and set on a sizzling plate. Unfortunately, we were unable to order one during the first time we dined here. It was sold out, and it wasn’t even lunchtime yet. 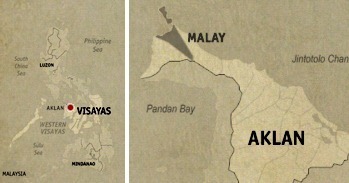 It is that popular with the Boracay crowd. 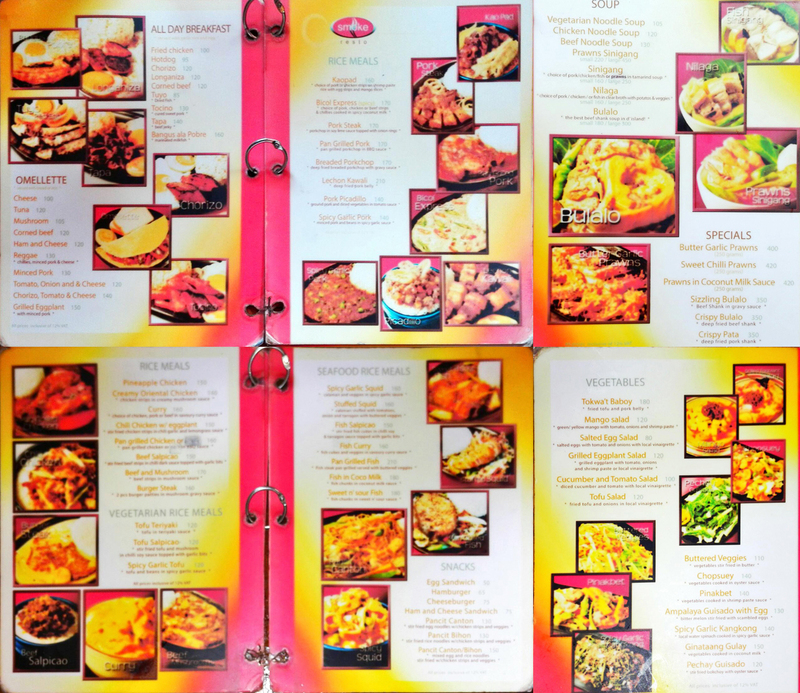 So, with really no choice, we browsed through their menu and found some pretty good alternatives against that stroke-inducing dish. We ended up with their pork Bicol express, pan grilled pork in barbecue sauce and tofu teriyaki; All on smoldering hot sizzling plates. 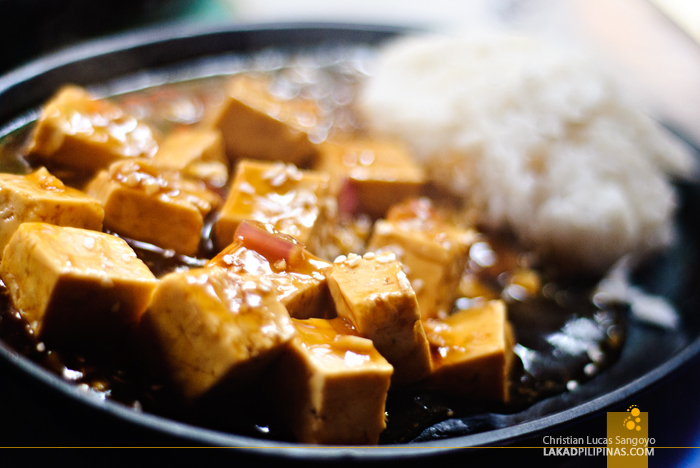 While you might find their prices to still be on the expensive side, a sizzling dish setting you back at least Php170.00, their serving size is quite generous. Plus, it comes with a cup or a kiss of steamed rice. An order can be good enough for two persons. And their food doesn’t disappoint too. All three were absolutely superb; very flavorful. My favorite from that batch was hands down, their Bicol express, even if it wasn’t as spicy as I’d prefer my Bicol express to be. 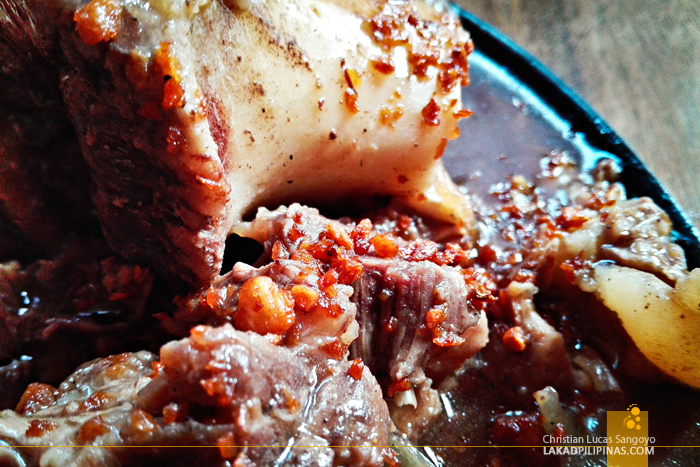 On my latest visit to Boracay, as we promised ourselves years back, we did go back to Smoke Resto to do a second attempt at ordering their sizzling bulalo. The place hasn’t changed much from the two years we’ve been away. It’s still as full, cramped and as smoky as ever. One of the waitresses told us they have a second branch they refer to as the Main Road branch, also at D’Mall. It’s much more airy, she said, but we insisted on eating at this same Smoke Resto branch as we did back then. And this time, at last, we were able to order Smoke’s famous sizzling bulalo. It arrived on our table as we were halfway through our bottles of Red Horse, which they serve cheaply by the way. 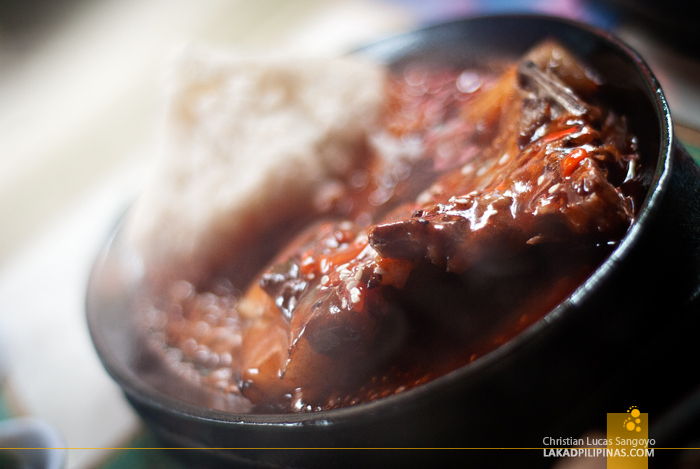 The monstrous beef shank is set right in the middle of the smoking plate while tender shredded beef sprinkled with garlic and swimming in thick gravy were strewn all around it. It was quite a mouth-watering sight. 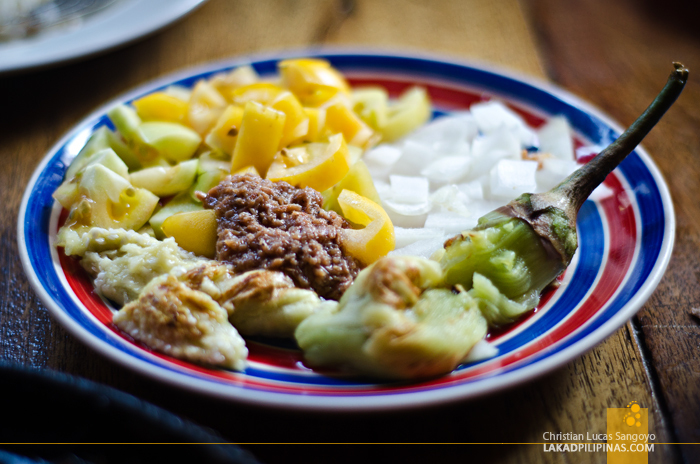 We paired this sin of a dish with something healthier, a plate of grilled eggplant salad. And the taste? Two years of waiting was very much worth it.